Openreach, BT’s local network division, has delivered a strong improvement in customer service performance. 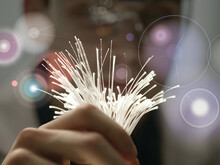 Openreach's fibre network has passed the 25 million premises milestone. BT Chief Executive Gavin Patterson today unveiled the company’s ambition to deliver Britain’s digital future, cementing the nation’s future prosperity as the G20’s leading digital economy.